More than mere transportation, cycling brings a sense of excitement to every ride. Exercise expands into exploration; commuting becomes infused with the joy of freedom. In so many ways, the journey is so much more than just getting there. 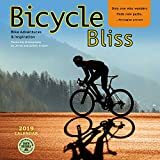 The Bicycle Bliss calendar features amazing adventure photos of riders around the world paired with inspiring quotes. A year of awesome bicycling photographs on your wall. The perfect gift for the bike commuter and bicycle adventure enthusiast. Features exceptional cycling photographs by Jered and Ashley Gruber. 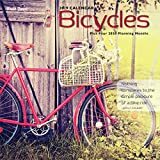 With inspiring cycling quotes by Edward Abbey, Rudyard Kipling, and others. This exciting mix of contemporary artwork pays tribute to the art of the bike. Graphically fresh and full of color, the work of twelve talented artists captures the spirit of the two-wheeled wonder. 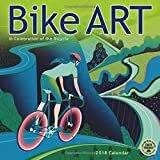 Month by month, the Bike Art wall calendar whisks you through the seasons with eye-catching illustrations. Each day you'll be reminded why bicycles are both a necessity and a joy for millions of cyclists worldwide. A year of eye-catching bike art on your wall. The perfect gift for bike lover, bike commuter, or cycling enthusiast. 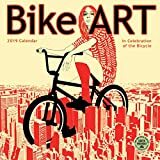 Features colorful bike-centric illustrations by artists such as DKNG, Allen Peters, and Marenthe. Features colorful bike-centric illustrations by artists such as Aimee Sicuro, Sam Chivers, and Rebecca Bradley. Fill your upcoming 2019, with 16 months of Bicycle all year round. 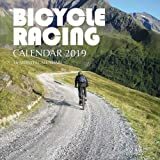 This beautiful calendar contains 16 months and 3 mini 2018, 2019, and 2020 year calendars.